The Guys & Girls at The Leatherhead Theatre Repertory Company are at it again. On 20-Mar-13 they will present a rehearsed reading of Amanda Lomas' play In Quest of Light - The Battle for Tartuffe in the main auditorium at The Leatherhead Theatre. The story centres on Molière, the 17th century French playwright and actor, exploring the 5 turbulent years surrounding his conflict with the Church over Tartuffe ou L'Imposteur, (Tartuffe or the Imposter) and the creation of his masterpiece Le Misanthrope (The Misanthrope). 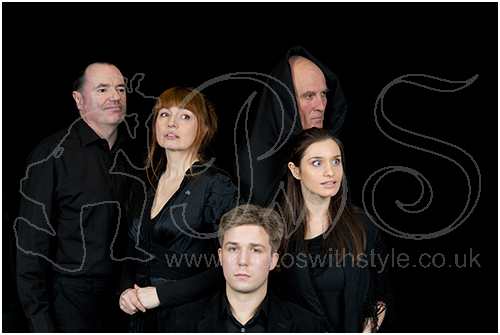 For more pictures from the photoshoot for this play see my Theatrical gallery.